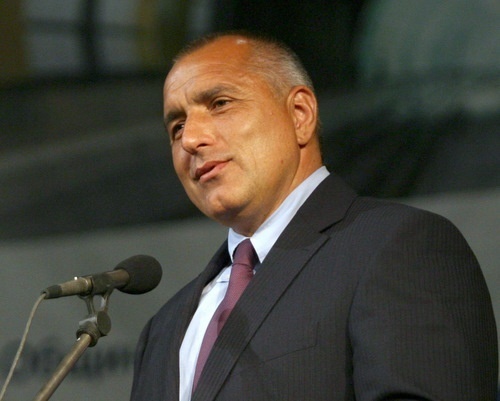 GERB Leader Boyko Borisov: Bulgarian People Just Want Justice! Interview with Boyko Borisov, Mayor of Sofia and leader of the GERB party, and one of the most likely bidders to become Bulgaria's next Prime Minister after the Parliamentary Elections in July 2009. Q: How do you expect your party GERB will do in the European Parliament and Bulgarian Parliamentary Elections? Aren't you apprehensive that GERB will get the "protest vote" directed against the Bulgarian Socialist Party (BSP) and the Stanishev government, instead of getting popular support on its own? There is no logic in your words. We have already won several elections in a row, and we have never won with a "protest vote", including in Sofia - the local elections (2007 local elections - editor's note) are majority representation elections - for electing both the Mayor and the City Council. There was no protest vote against the old Mayor because I was the old Mayor, and I was reelected. Q: In case of a stalemate situation after the Parliamentary Elections in July, in which neither your party GERB, nor the BSP could form a government of its own, are you going to form a government with the BSP? If not, what are the other options and possible scenarios for GERB? Let's wait for the elections to be over, and then we will see. Why do we have to take guesses? We will either form a government on our own, or we will remain in opposition. This is what democracy is about. It will be whatever the Bulgarian people choose it to be. If the Bulgarians like PM Stanishev, and the three-way coalition, let them keep them in power. We have no way of forcing the people against doing that. And the reverse is true. If they want to remove them from power, they do have a choice/who to vote for. Q: Actual EU-wide issues did not really appear in the EP campaign in Bulgaria. What is your vision for the future of the EU? Should the Union become more supranational? The negative tone in the campaigns was set again by PM Stanishev with his videos, his negative PR against us; he also brought in the issue about the pensions (the monthly pensions of the retired Bulgarians many of whom are seen as traditional Socialist Party voters - editor's note). What do the European Elections have to do with the pensions? Or he is making personal video statements asking people to trust him. But he is not an MEP candidate. So it was the BSP who set the tone. And as far as the rich EU states are concerned, they give a lot of money from their budgets to the EU, they fund it. And that is why they have demands for the EU. Just look at the EP election results in the Netherlands, and the UK. Whereas for Bulgaria the EU is the "island of salvation" - if we don't get those EUR 12 B, to pour them into the infrastructure of the country, there would be no way we would be able to patch up the state budget at the end of the year. Q: The major effect of the global financial crisis on Bulgaria was the disappearance of the massive foreign investments into real estate. With the real estate investors already gone, which sector of the Bulgarian economy would you and the GERB party put a stress on, which sector would become a priority? Let's go back to our roots, to our past. In the times of its hardest national catastrophes, Bulgaria has paid off its reparations thanks to its agriculture. We used to be an agrarian state. There is a huge potential in this sector. Second, most of the Bulgarian economy is already private; we need to set up rules and create opportunities so that businesses can work more intensively. For that we need to have a very close dialogue with the employers' organizations. Third, the high-tech zones that we have been talking about. I'll point to Romania as an example. Nokia has outsourced all of its manufacturing there, and Romania gave them the land for free. They probably have 40 000-50 000 highly qualified specialists working there already. If we copy this example, our software and hardware specialists will not have to leave Bulgaria, they will stay here. We have the opportunity to do that. The first thing that we are going to do, or one of the first things - will be the connecting of the Customs and the National Revenue Agency with a joint communication system. This will largely reduce the contraband, this will actually cut it sharply, and that will create opportunities for the development of the textile industry, agricultural producers, firms that import oil and petrol products, etc. Currently, pretty much everything is contraband, the smuggled goods are over 50%. Those are the spots where we concentrate on first in order to patch up the state budget - so that we won't have to actually decrease the salaries and pensions. This will be the legacy that PM Stanishev will leave to us. But Stanishev is a populist. In the last month of his term, when his Ministers are campaign because all of them are MP candidates, he is going to give them a salary of 85% that they won't have earned. I.e. they won't be working for the people. But he declared that he would reduce their salaries by 15% because of the crisis. This is the height of his populism. Q: What sort of specific measures do you plan to implement in order to attract foreign investors? The Prime Minister has stated that EUR 20 B investments have come to Bulgaria, and I would like to remind you that 75% of those were in Sofia. And exactly in the construction and real estate sector. So, basically, the investors come, buy a plot of land, concrete, and construction materials. But those are not high-tech parks or plants, those funds were not invested in machines, or at least only a small fraction was. This is where the problem lies. Q: After 3,5 years as a Mayor of Sofia, do you believe you have managed to bring the capital city to the level of development and prosperity that you wanted to? After all, let's not forget that we have been working while being at war with the government, and a war that is not our fault. Despite all that, I dare state that there would have been no Southern arc of the Sofia beltway, if it wasn't for me. I went there in person to demolish gas station and storage houses because those who were before me did not have the guts to do it. The Metro was built thanks to the good organization and the drudgery of those involved, and thanks to the fact that I managed to secure the funding for all of its lines. We are going to launch the complete first line on September 15 - from Obelya-Lyulin to Mladost, and in 2012-2014 - from Obelya through the Central Railway Station to Cherni Vrah Blvd. You can see that we have turned Sofia into a huge construction site, and we are working at a great depth. We will have to build the metro line under Vitosha Blvd at a depth of 26 m in order to preserve the communication infrastructure; that is huge construction work. It is very hard to build things in a city of two million, a working city. Not to mention that we've managed to start building the garbage processing plant, we've managed to put the parks in order to a large extent. We are now going to open 7-8 km of new bicycle alleys; just go down the Boris III Blvd, and you'll see all the construction. But I still would like to tell your readers that the government is giving 50% less money to my administration since I became mayor compared to the previous Mayors. That is 50% less, not 5%. And all that streets, parks are built with money. Keeping in mind that the infrastructure in Sofia is 30 years old, you can imagine how hard it is to do work with that sort of money. Q: Who is really ruling Bulgaria at the moment? Is it the governing coalition, or the mafia, or the so called "oligarchs"? Well, since I saw the "Wolf" (nickname of Rumen Gaytanski, owner of the Sofia garbage concessionaire "Novera" that Borisov has been at odds with - editor's note) and Stanishev together in the National Garbage Crisis Headquarters, I think it is all of those forces together. Luckily, the Bulgarian Court declared null and void the decision for the setting up of the crisis headquarters, and, you see, they have not been around for a month, and Sofia is getting cleaned perfectly. There are no problems if no one creates a crisis. Q: What is the role of the ethnic Turkish party DPS and its leader in Bulgarian politics? Do you think the ethnic peace in Bulgaria depends on them? If Bulgaria's ethnic peace is guaranteed by corruption schemes, do we have to live with them? I don't know if that's the best option. If the DPS is a party like any other, why are we then talking about ethnic peace? All parties can win, or remain in opposition, or form a government. After all, the DPS has been in the government for 8 years, and have carried the government mandate for 4 years. They made Stanishev Prime Minister. Then what? Everyone else can be in opposition, only they cannot. If this is what the ethnic peace is based upon, then there is no Bulgaria, and no democracy. This is already another type of governing system that I would not accept. Q: Do you support Turkey's EU membership? Should we be apprehensive of Turkey's attempts to interfere in Bulgarian affairs? The EU has certain criteria for the admission of any single state. If someone meets the criteria, this means they've obeyed all European norms. I am convinced that Turkey will not meet the membership criteria for at least 20-30 more years. So it is pointless to argue, it is not worth complicating our relations with the Turkish state over pointless arguments. The present Bulgarian government and President have close relations with the Russian leadership. In your view, what should Bulgaria's attitude towards Russia be, do we need to be apprehensive of potential Russian influence? Our attitude towards Russia should regular, just like with any other state. The GERB party and me personally - we have no complexes regarding the relations with Russia. As long as they are mutually beneficial. Just as our relations with the USA, and the EU are. We won't conduct policies at the expense of third nations, quite the opposite. Q: Who do you think should be Bulgaria's No. 1 priority partner - the USA or the EU? We are equally close with both of them. We are a member of the Euro-Atlantic Community. Euro-Atlantic means that NATO is dominated by the USA, and the EU - by the large European states. We have been admitted to both, we have made our choice. Q: In your view, which is the greatest threat to Bulgaria' national security at present and in the medium run? Corruption. It can erode anything - judicial system, intelligence services, statehood. That is why the first thing we must try to combat is corruption. Q: What measures exactly do you plan to take in order to combat corruption? Say you gain control of the legislature and the government after the Parliamentary Elections but there are grave issues in the judiciary, how do you plan to handle the situation? I don't think that the Bulgarian judges and prosecutors should be insulted. Because I have seen from my observation that, firstly, most of them are really honest and worthy individuals but when there is no political will, they cannot do it on their own. They work on the grounds of legislation, on the grounds of the party leaderships. The judicial system must be left to solve its problems on its own but it should also be held accountable. Because it is not an isolated part of society. We talk about the judicial system as if someone imported it from elsewhere. The Prime Minister, the President, the Parliament Chair - everyone is responsible, the judiciary is responsible, too. In order not to have anyone meddle into its affairs, its supreme institutions must report to the Parliament. They must report things like, "We've solved this many cases, we've made this many omissions, we will fix the problems in these ways". I.e. the judicial system is independent when it comes to trials, if you, I, or anyone else is put on trial, then it is independent. But it is not independent in the context of the state because it is the Bulgarian judiciary. Q: Who is afraid of Boyko Borisov, and who or what is Boyko Borisov apprehensive of? I am apprehensive only of the possibility that with all the videos and 2-3 months of campaigning, we are going to turn people away from us, we might cause apathy. And the low voter turnout guarantees that the Bulgarian Socialist Party and the DPS will stay in power. That's what I am afraid of. As to who is afraid of me - I have demonstrated that as both an Interior Ministry Secretary and as a Mayor - all those who are involved in corruption schemes must be afraid. Q: What is the major thing that you aspire to achieve as a politician? Or if I paraphrase the question - what is the dream of Boyko Borisov? Unfortunately, I have already realized my dream, and there is no way I can go back to it. My dream was to be a policeman, a fireman, to be in the police services, and to lead them; every officers dreams of that. And my dream had come true for almost five years. Unfortunately, I had to resign. I would still be serving in the Interior Ministry. Q: What has led, or motivated you to quit being a professional policeman, and to become a professional politician? It was out of necessity, I was forced to. I had never thought I would be a politician, that I would have a political party, and would be doing that sort of activity. Never. But when Rumen Petkov (Bulgaria's former Interior Minister (2005-2008) from the Socialist Party - editor's note) came to head the Interior Ministry, I realized that no matter how good, or hardworking, or diligent you are, there are those guys, those "uncles", the so called politicians, who decide your fate, they decide what will become of you. I.e. they can destroy your dreams, or they can realize them. I don't like anyone else pushing my buttons. Q: Foreigners interested in Bulgaria who want to know about Boyko Borisov get the image of strong leader, an Interior Ministry general. Is the actual person behind that image any different? No, he's not. And I think that people in Bulgaria have always been voting for me as a policeman, because they see me as a policeman. The people expect a little justice. And because they know that the others are only talking, and cannot realize what they promise, but they also know that I can do that. This is the difference between us, GERB, and the other parties. Because Yane Yanev (leader of the conservative "Order, Law, Justice" party - editor's note), and "Ataka" (the far-right party "Attack" led by Volen Siderov - editor's note), all of them are talking about police vans and arrests, things that, if you think of it, cannot really happen. We need to make things so that the system can function - prosecutors, judges, investigators. They put criminals in jail. They pronounce sentences not the politicians. We politicians need to set the conditions so that they can do their job, and not to meddle in their affairs. Q: Through Novinite.com you can address directly foreign businessmen, investors, diplomats, people from all over the world interested in Bulgaria. What would like to tell them - what should they know about the GERB party? First to the investors - they are extremely important for us; they are welcome, we will create maximum good conditions for them. Now is the time for them to invest. To all of your other readers - they should know that we are predictable, disciplined, and very loyal partners, and have proven that.